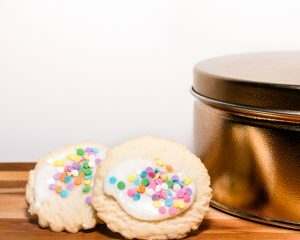 One pound of cookies in a plain box. 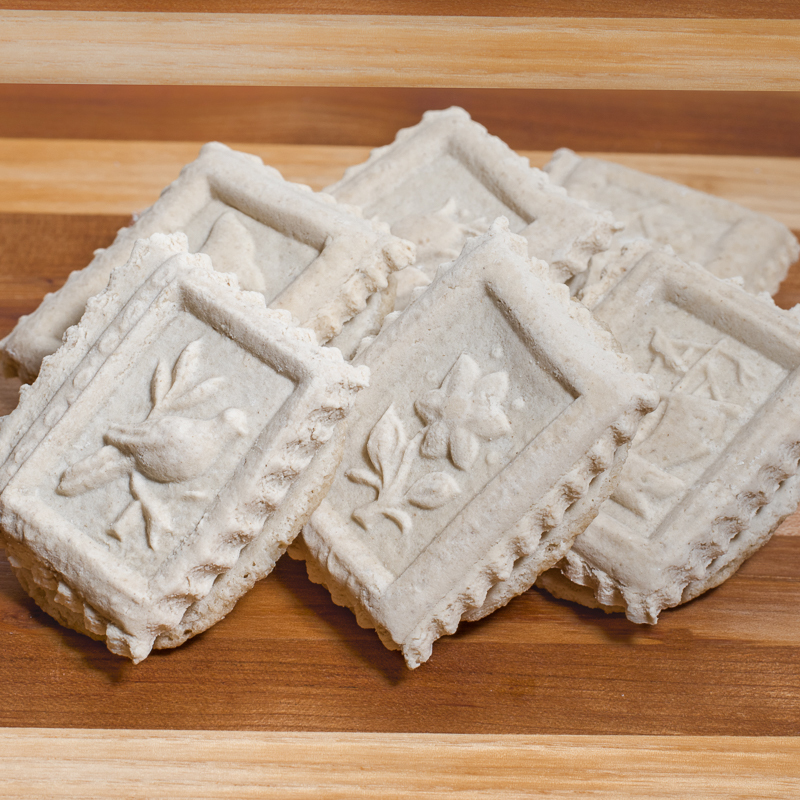 Flour, powdered sugar, eggs, milk, salt, anise, baking ammonia. 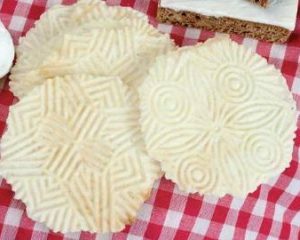 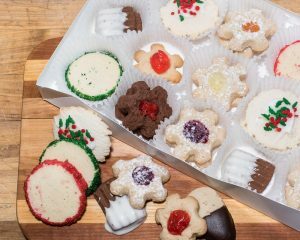 A traditional Swiss cookie, these thin all-butter cookies are made 4 at a time on an iron.